Since 1982 we have been guiding small groups of travellers on Australia’s finest walks. Whether you’re interested in trekking Australia’s iconic Larapinta Trail in the Red Centre, Tasmania’s spectacular Overland Track, the Jatbula Trail in Top End, Kakadu, the Bibbulmun Track, the Heysen Trail and Flinders range as well as the Kimberly, tropical north Queensland and south western Australia – you can be sure your experience will be an unforgettable exploration of Australia’s stunning and diverse landscape. 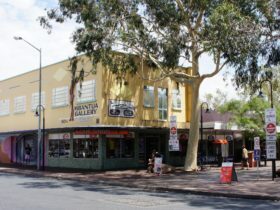 Our experienced guides are experts in the field and have high respect and love of the Australian landscape. With responsible travel at the core at everything we do, you can be sure your journey leaves no trace and takes into account the local wildlife, wilderness and cultures of the land. Winding along the edge of the escarpment from Katherine Gorge (Nitmiluk) to Edith Falls (Leliyn), the Jatbula Trail is a truly exceptional wilderness experience. See magnificent waterfalls tumbling from high quartzite cliffs, trek through through shady monsoon forests along crystal-clear creeks and discover ancient Jawoyn Aboriginal rock art adorning the caves and overhangs. This 6 day full-pack wilderness adventure traverses the heart of this amazing part of the top end. Trekking the full trail is a challenging objective, but one that comes with an equal sense of reward. Our experienced guides are experts in the field, so you’ll know you’re in safe hands. 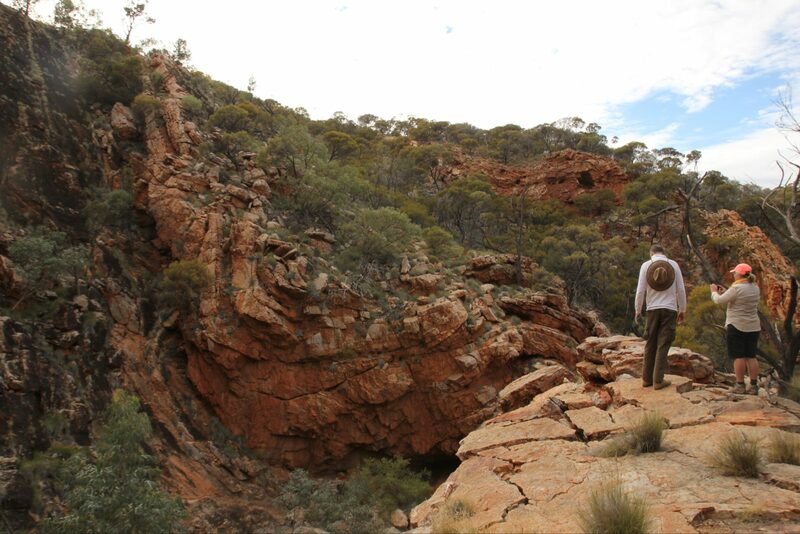 Experience Larapinta Trail with the experts! 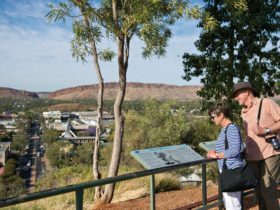 This extraordinary walking track traverses the length of the magnificent West MacDonnell Ranges, located near Alice Springs. This fully supported six day trek is perfect for active walkers, covering between eight and 18 kilometres a day over a variety of terrain. Accommodated in our network of environmentally designed exclusive semi-permanent campsites, you can relax after each day on the trail with facilities including hot showers, comfortable lounges and heated dining shelter, with the opportunity to sleep under the stars. Explore ridgelines and narrow canyons, serene river valleys and wild savannah, view unique flora and fauna in its natural habitat and camp by night under a canopy of stars. Let us show you the highlights of this iconic trail. Please quote tour code LAR when booking. 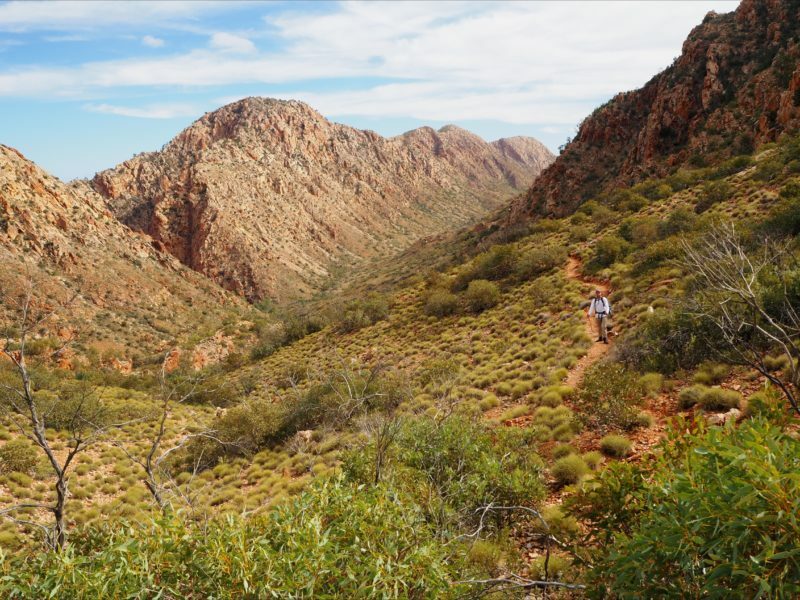 This extraordinary walking track traverses the length of the magnificent West MacDonnell Ranges, located near Alice Springs. This fully supported three day trek is the perfect introduction to the trail. Please quote trip code LRE when booking. This fantastic route along the Larapinta Trail will take in the most spectacular highlights along the 223km track. 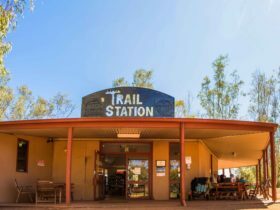 The camping based trek will allow you more time to explore and soak in the beauty of the Central Australian desert as you traverse the most scenic stages of the Larapinta Trail. Carrying just a daypack, this walk will delight the wilderness lover and challenge even seasoned walkers. 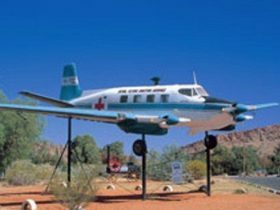 The Larapinta Trail offers one of the greatest desert treks on earth and is a bucket list experience for anyone who enjoys walking holidays. Following the spine of the West MacDonnell range, this extended walk along the Larapinta Trail will take in the sections along the Larapinta Trail that simply cannot be missed. It also provides a more achievable objective for walkers not yet ready for our 14 day Larapinta End to End trip. There will be some demanding stages as you pass over remote ridges and canyons, walking up to 30kms on some days. The group camping gear is transported to each campsite by our professional support crew, freeing walkers to enjoy the diverse desert scenery, revel in the camaraderie of like-minded travellers and focus on achieving your goal. The Larapinta Trail is one of Australia’s great walks. Our experience on the trail began in 1995 and since then we have pioneered the way on this classic desert walk, now becoming the first ever to provide a self guided walking experience along the trail. You’ll be provided with essential equipment, from maps to cooking utensils and food, as well as an EPIRB and invaluable advice from our experienced guides, prior to your departure. This walk provides you with a great opportunity to complete this outstanding shot trek with the knowledge that the best gear and local knowledge from the pioneers of this iconic trek, will support you on your independent journey through Australia’s Red Centre. The Larapinta Trail is one of Australia’s great walks. Our experience on the trail began in 1995 and since then we have pioneered the way on this classic desert walk, now becoming the first ever to provide a self guided walking experience along the trail. You’ll be provided with essential equipment, from maps to cooking utensils and food, as well as an EPIRB and invaluable advice from our experienced guides, prior to your departure. This walk provides you with a great opportunity to complete this outstanding trek with the knowledge that the best gear, food drops and local knowledge from the pioneers of this iconic trek, will support you on your independent journey through Australia’s Red Centre. 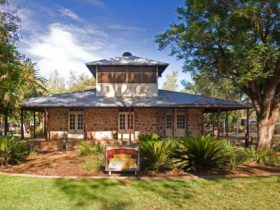 A self guided walk along the Larapinta is suited to experienced walkers comfortable with their sense of direction and map reading, ability to carry a full pack and used to being independent in the outdoors. 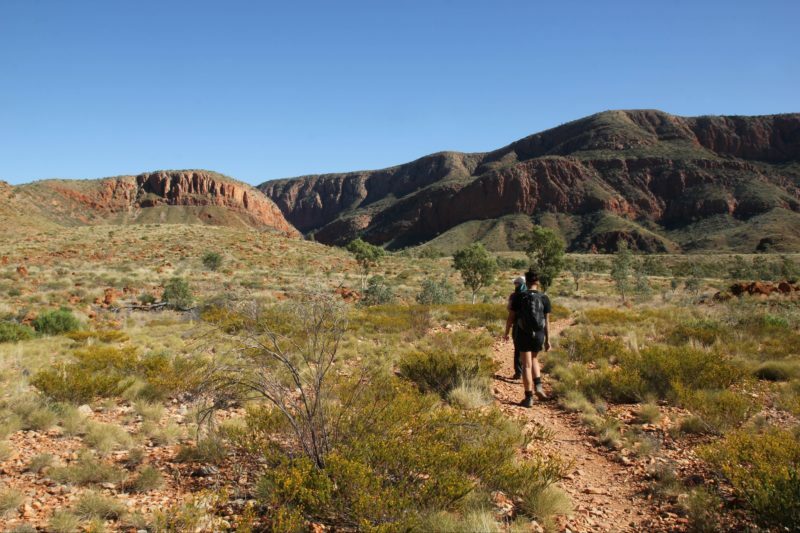 The landscapes along the Larapinta are quite diverse and walking at your own pace is one of the best ways to truly appreciate the high ridgeline traverse, narrow canyons, stunning gorges and idyllic waterholes. 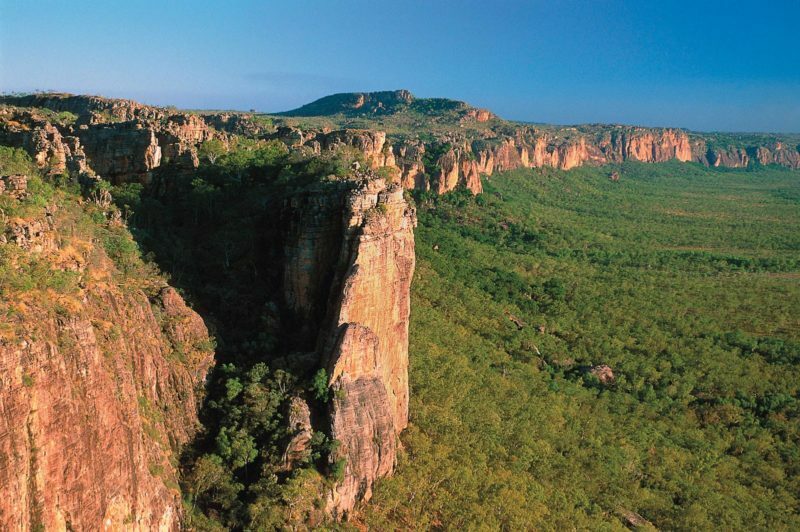 Kakadu National Park is a World Heritage Area covering some 20,000 square kms. 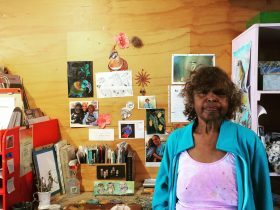 Waterfalls tumble from the red cliffs off the Arnhem Land escarpment into shady pools; tranquil wetlands teem with animal and bird life, while 40,000 years of Aboriginal cultural heritage is on display in the numerous hidden rock art galleries. Get away from the crowds on our active, walking based itinerary, which includes a cruise on the Yellow Waters (a favourite haunt of saltwater crocodiles). It’s when you go for a walk beyond the main tourist sites that Kakadu will reveal its true magic. Our collection of full-day bushwalks venture in to remote gorges and sparkling waterfalls, as well as ancient rock art seen by very few visitors. The upgraded semi-permanent campsites encourage travellers to relax in idyllic tropical surrounds. The itinerary varies to make the most of the season, choosing the best walks and waterfalls as the wet season floodwaters recede and access opens up. You will return to Darwin having enjoyed a complete adventure across the full range of tropical wilderness of Australia’s Top End.